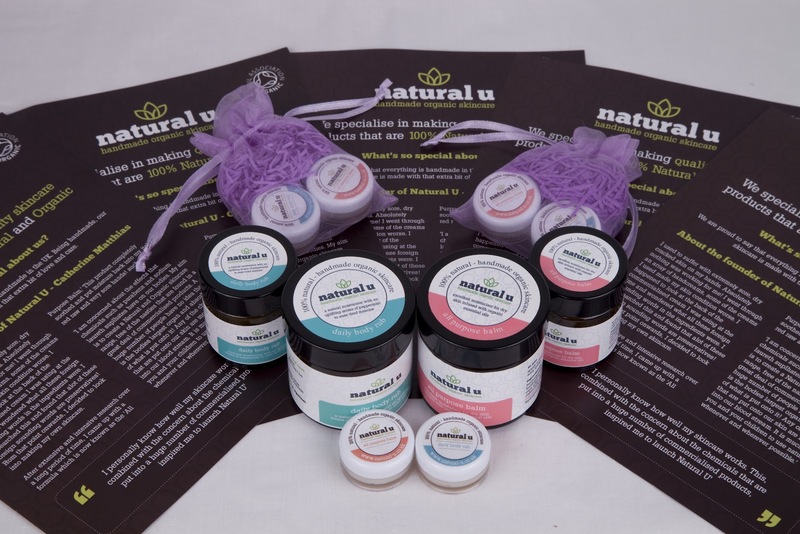 Natural U was created by Catherine, a mother who was tired of suffering from sore, dry and cracked skin on her hands and not finding any products that were able to help her. She also wanted to create a product that was 100% natural and organic, which lead her to creating both her Natural Body Rub and All Purpose Skin Balm. The All Purpose balm is used for dry cracked sore skin on the hands, dry lips, dry heels, burns, sun burn, dry elbows and as a night time facial moisturizer, wonderful for sensitive skin, This product is suitable from birth and even works amazingly well for nappy rash and eczema this really is an 'all purpose balm!!!' This balm cured Catherine's dry cracked eczema hands. The Daily body rub is used for sore tense muscles on the back of the neck and across the shoulders. This wonderful balm also works really well for headaches and tiredness when rubbed on the temples. This can be used anywhere on the body after exercise to relieve tired, sore or tense muscles. It was an absolute pleasure reviewing the 100% natural and organic ‘natural-u’ daily body rub and all-purpose balm! I was anxious to give it a try after the last several months of dry winter heat had left my skin cracked and itchy, I knew I would certainly put this product to the ultimate test. I sincerely love this product! It glides over dry skin and leaves a perfect feeling of hydration, nothing sticky or greasy. And it’s made with 100% natural ingredients so on top of enjoying soft skin again, I have the peace of mind knowing I’m not absorbing harsh chemicals. Sincere thanks to ‘natural-u’ for providing me the opportunity to review such a fantastic product! 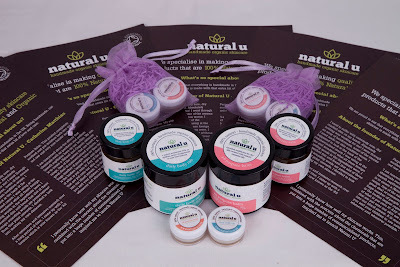 You can find Natural-U on Facebook, Twitter and to purchase your own body balm and rub you can visit their website. Disclosure: All opinions are my own. I received both All Purpose Balm and Body Rub at no cost for the purpose of this review. No other compensation was received.